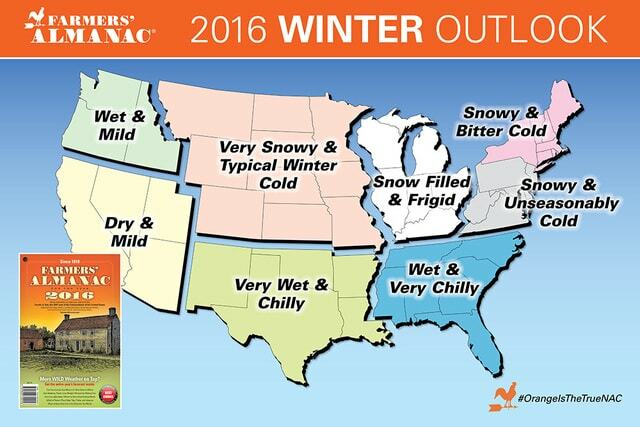 Winter forecast: Cold in Midwest starting in November; lake effect snow may start early. GALION — Old man winter won’t hold back in the northern Plains this season with shots of brutally cold air predicted to slice through the region. Developing snowpack in early December may contribute to even colder weather. Temperatures will plummet as the season goes on, averaging 6 to 9 degrees lower overall than last winter. “…There are going to be some nights, especially if there’s snowcover in the heart of winter, that could get down to 20 or 30 below, especially in parts of Minnesota like International Falls and Duluth and parts of the Dakotas,” Pastelok said. Cold air will also remain entrenched across the Midwest after arriving in late November. Coupled with warmer waters over the Great Lakes, an early start to lake-effect season is in store. “I do feel we’re going to kick this season off pretty quick, especially the western lakes. But I think even the eastern lakes will get involved and it will extend all the way out to January,” he said. Winter will slowly creep into the Southeast this season, as very mild air hangs on throughout the month of December. “I am afraid that we have a shot at seeing a damaging freeze in central Florida in mid- to late January this year,” Pastelok said. The chill could spell disaster for the area’s citrus farmers. Cold air will once again retreat following January and the threat is predicted to shift to severe weather. Winter will waste no time in the northwestern U.S. and northern California, as the season kicks off with rain and winter storms. November and December will see the most action, before high pressure builds in and stormy weather eases back in late January and February. While moisture aims for the Northwest, warm and dry conditions will span much of the season for central and Southern California and the Southwest. “December is [looking] very warm [in the Southwest] and I think we could break some record high temperatures,” Pastelok said. A few cold shots will hit areas like Phoenix and Flagstaff, Arizona, in January, but the warm weather will quickly rebound. “We’re in a pattern that doesn’t really show a lot of rain coming toward Southern California, so I don’t expect too much relief,” Pastelok said. What precipitation does fall in California will aim primarily for the north, though it will fail to have the significance of last January when the region was hammered by heavy rain and snow. “I do think in the early part of the season we’re looking good anywhere from San Francisco, Sacramento and into the mountains,” he said. “A turnaround could come into late December and January as chillier air masses work down from the north,” Pastelok said. “The area of the country that may miss out on big [snow] storms this year may be Dallas and Little Rock,” he said. However, a few disruptive ice events are not out of the question.